Greg Shelden was initially drawn to rock and roll through his sister Peg, who played records in her bedroom. Then, he watched the Beatles perform on “The Ed Sullivan Show” in 1964 and his interest became a desire. He got his first guitar at age 14 – a Sears model that, for lack of a case, he toted in the cardboard shipping box. He wanted to learn how to play. It worked. Greg Shelden would play for the next 50 years. 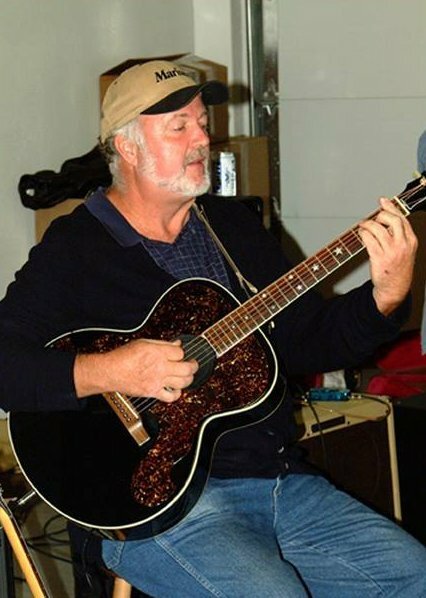 Beginning in mid-1965, Greg and fellow Lake Preston schoolmates Ron Nelson and Dave Cecil became the rhythm and lead guitar section of the Cavaliers. He stayed with that group until enrolling as an art major at South Dakota State University in Brookings in 1968. For the rest of 1968 through early 1970, he was guitarist/vocalist with the Military Pickle.